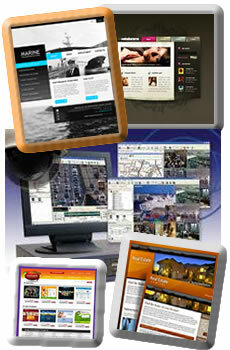 A website is an online brochure / catalog that can be changed at anytime. It's easier, cheaper and quicker to update than print material. Its' capacities are almost limitless which allow you to provide users with more comprehensive information. This will save you money on printing and distribution costs as well. unlike your company's office that may be open from 8-5, Monday thru Friday, your company 's website is open 24 hours a day, 365 days a year; and being on the web makes it time convenient for everyone. Studies reveal that People are busy and don't like to wait for information. Give them what they want, when they want it. If your product is suitable, offer them free samples to download. This includes pictures, brochures, software, videos, Power Point slides, music and. similarly, more than ever before, people are turning away from traditional means of finding information and looking online, they "Just Google It". Your business should be at their fingertips. You can't afford not to have your business online. That is why Course Uplink is at your service to help take your business on the Web for the world to see. We carefully plan the designing of your web pages to perfectly represent what your business stands for. We help you create simple, attractive and fast loading web pages, with the consideration of attracting your target market and also to enable you attain the goals of your presence on the web. Course uplink gives you professional service at a favourable and competitive rate. Tell The World About It !! !